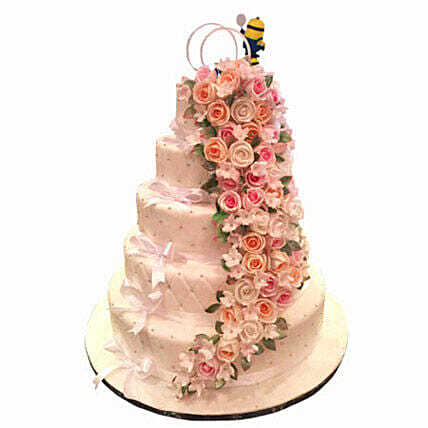 On one of the most important decisions in ones life, that is marriage, celebrate it with a resplendent present like this 5 Tier Wedding Fondant Cake. This Cake is not only flavored with Chocolate/Vanilla to mesmerize but also designed to hypnotize the onlookers in the slightest glance. The flow of flowers over the tiers is producing a magical look.